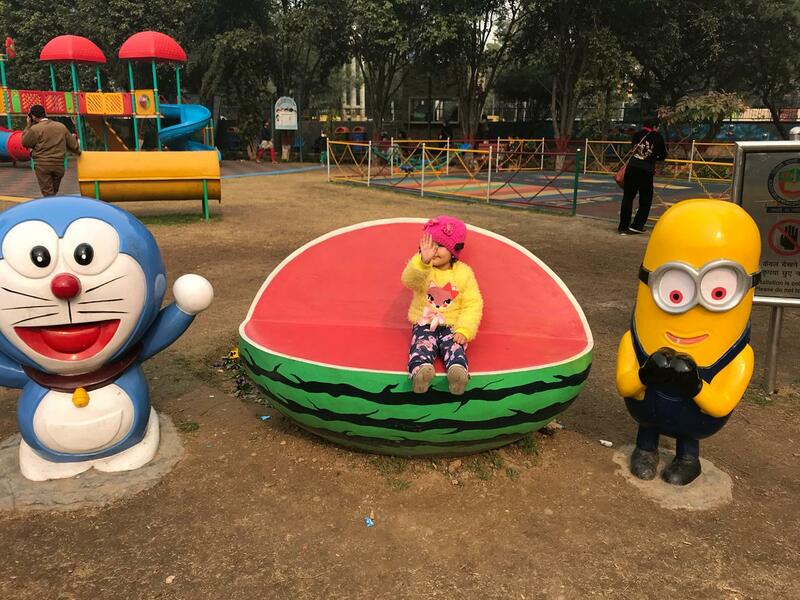 Are you still thinking where to take your toddlers within Delhi/NCR to have a fun time? I had already covered National Rail Museum and Old Fort Show in my earlier blog (https://www.mysecondinnings.in/2018/11/Day-Trips-Delhi-Museum-Oldfort.html). Below are some more places I found which I am sure your kiddos will enjoy as my daughter did. My daughter absolutely enjoys jumping on the bed and when I told her about a place where she can keep on jumping continuously, her excitement was at its peak. Opened in 2017, Skyjumper Trampoline Park became India's largest indoor trampoline arena. The arena is huge with about 100 interconnected trampoline to jump on and the whole premises is meticulously designed giving safety a lot of priority. Such is the atmosphere of the park that adults too feel to enter the arena and give it a shot, maybe trying to reminisce their younger days. We went on a weekend and took a Mother Child combo ticket which cost Rs 650 for 30 minutes. There is an indoor cafe serving snacks and beverages outside the arena where my husband decided to stay. The park has a separate section for toddlers as they are too young to balance themselves sometimes and here they can jump at their own pace. My daughter first found difficulty in balancing and was constantly holding my hands. But as she gained confidence she started jumping independently and enjoyed more. As was expected, my daughter resisted coming out of the park once 30 minutes passed and it took a while to convince her to do so. 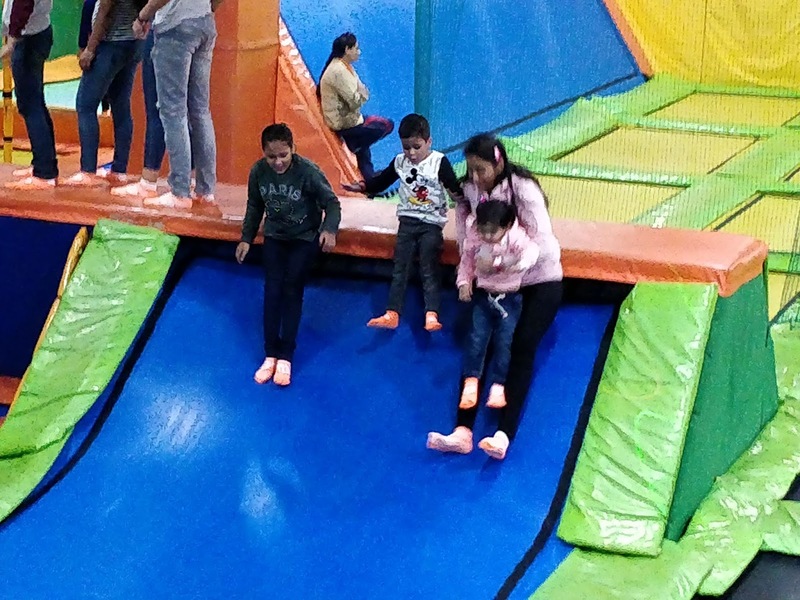 Besides normal jumping, the park offers Tarzan Rope, Volleyball, Dodgeball, Basketball Walk the Wall and slides falling into foam of foam cubes, so that every age group is engaged. My only advise is to not eat for an hour before you go there. 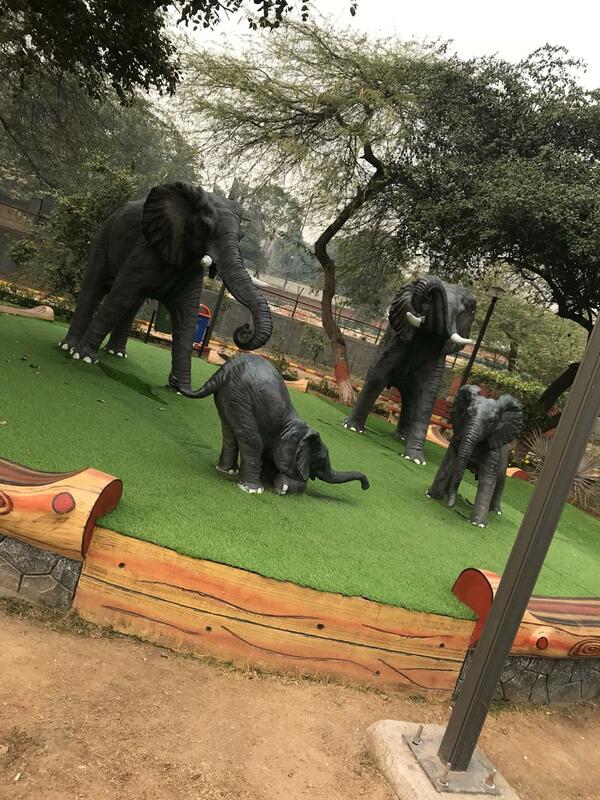 The park offers packages for special events, such as birthday parties, corporate events and school trips, and also offers coaching on gymnastics for kids 6 and above. You can even purchase a trampoline for your personal use. When to Visit: On weekdays the timings are 11:30 AM to 9 PM, while on Sat and Sun the park opens at 10 AM. 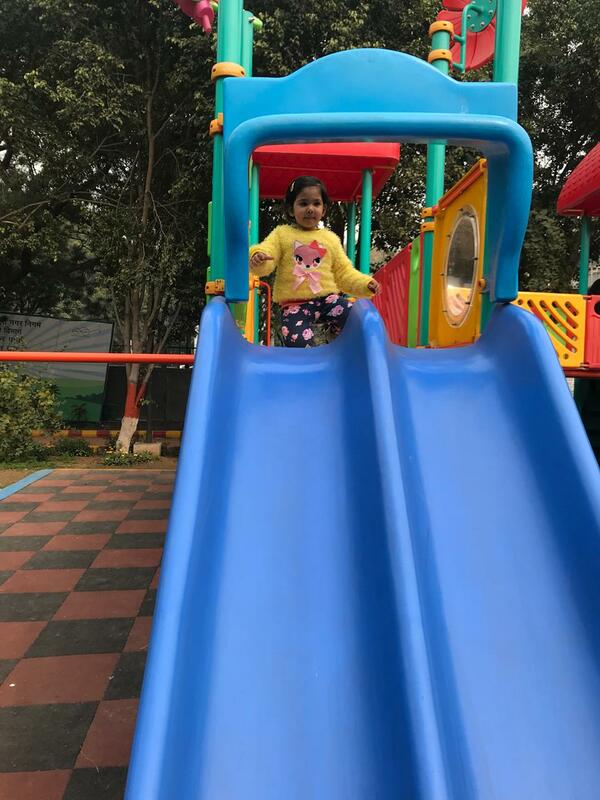 In December 2018, South Delhi Municipal Corporation opened Nandan Van in GK-1, a park fully focused on children aged 12 years or below. 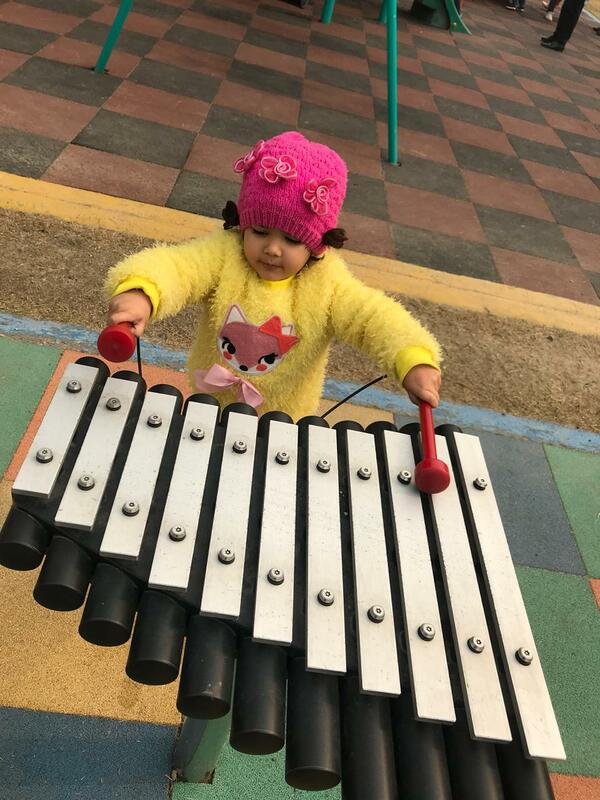 A one of its kind in South Delhi, the park has been creatively designed offering ample playing opportunities to kids and at the same time promoting outdoor playing activities culture rather than being confined to mobiles and tablets. With respect to safety, the play area has specialized rubber surface to prevent any fatal injury to the children. Also, the fibre made multi-purpose play stations are safer than orthodox iron made play equipment. The park has a separate toddlers section which I really liked. The park also includes a number of activities to keep the children engaged physically and mentally. One can find swings, board games, musical instruments, rope bridges, animal statues and much more in this park. My daughter enjoyed the Stapu game arena and slides the most. 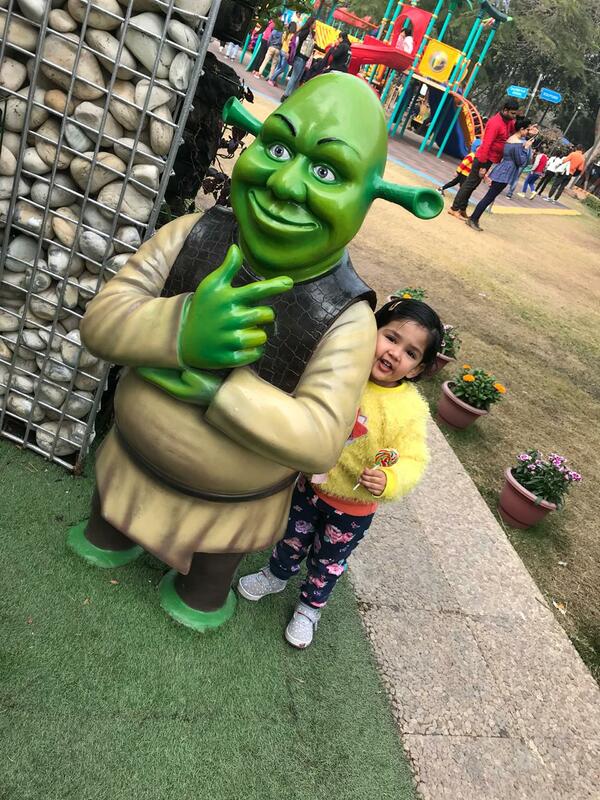 She also had a fun time with the animated statues of Shrek, Goofy and Minions. 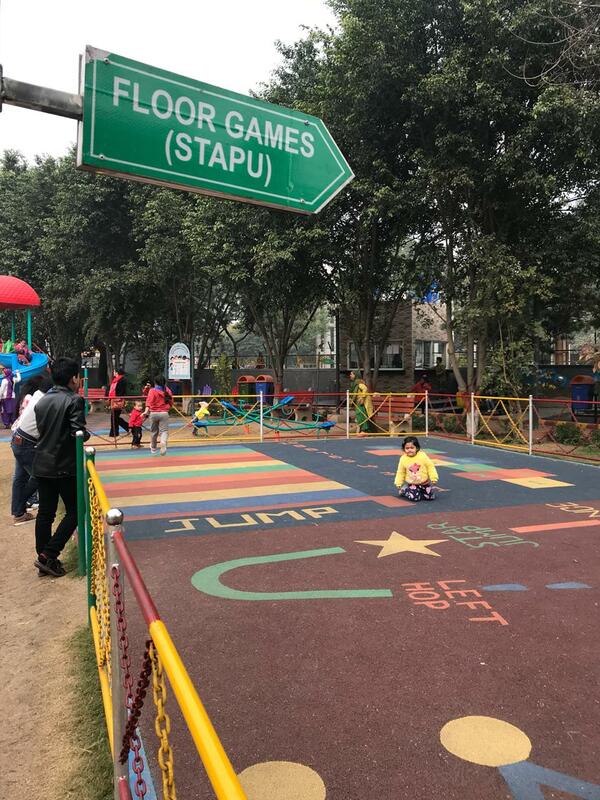 Besides children, there are facilities for adults accompanying these children such as proper benches, gazebos and walkways have been developed for their usage. Another unique feature of this park is it has installed a sensory wall for visually disabled children and I am not able to recall any other park doing so. The artistic entry gates with sculptures is a good strategy to attract a large number of kids. There is also a small canteen from where you can grab a quick bite or quench your thirst. The park has been designed with modern equipment and innovative swings which makes it a perfect place to go with your kids. Every city requires its escape valves where people can feel they are away from the noise of a commercial city. As a mother, I always look for outdoor places which are kids friendly and my daughter can just run around and play freely. 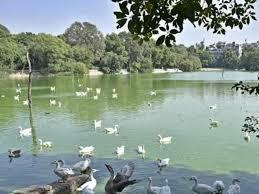 There are certain areas in Delhi which are lush green and apt for a family excursion. 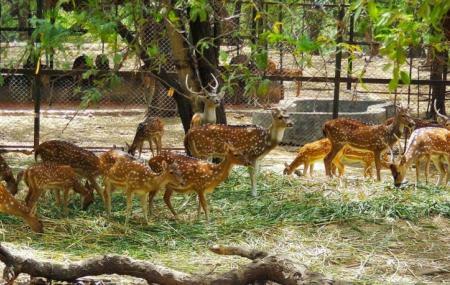 Deer Park, located in South Delhi's Hauz Khas area, is one such park where people usually go with their families for picnic and at the same time taking a break from their hectic schedule. The park is a home to a number of species, primarily deer, from where it derived its name. Other species include peacocks, rabbits, ducks, guinea pigs and a wide range of bird life, all living in harmony with each other. With large number of shady trees, lush grasses and a water body, the park offers a peaceful ambience which is a delight for any nature lover. This serene surrounding also attracts a lot of morning walkers to this place. Despite being close to busy markets of Hauz Khas and Green Park, the park manages to sustain an illusion of remoteness. There is a Rose Garden and a district park adjacent to Deer Park and this whole belt is one of the biggest green spaces of Delhi. One should visit this place during winters or early spring and utilize the time to recharge their physical and emotional batteries. When to Visit: The park is opened all days of the week. The timings are 5 AM to 7:30 PM during summer and 5:30 AM to 6:30 PM in winters. I hope you found the above list useful and I recommend you should definitely take your children to all these places and I am sure you will not be disappointed. If you know any other place where I can take my daughter, do mention in the comments section.